Will America’s Surging Number of Seniors Have Safe Streets to Be Active? America is aging. But our communities are poorly designed for older people. According to U.S. Census data, the number of Americans 65 and older increased by 15 percent between 2000 and 2010 to 40,267,984. In Washington State, the 2010 census shows 827,677 senior residents, or 12.3 percent of our total population. We can expect that number to grow in coming years as more baby boomers reach the golden years. As more of us live longer, an increasing number of us can expect to live beyond our ability to drive safely. 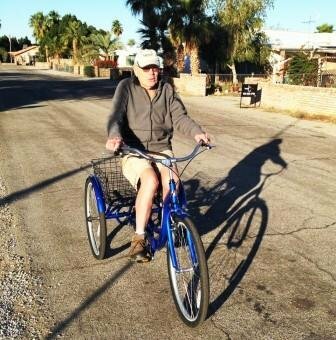 Biking and walking can help older Americans remain active, mobile and independent in their communities. In a poll conducted for this study, 40 percent of adults aged 50 and older reported inadequate sidewalks in their neighborhoods. More sobering, 50 percent reported they cannot cross main roads close to their home safely. Half of those who reported such problems said they would walk, bike or take the bus more if these problems were fixed. These concerns are borne out by statistics showing older adults are more likely to be victims in both motor-vehicle and pedestrian fatalities. Elsewhere on the Network today: Jonathan Maus at Bike Portland finds a grandaddy of a sneckdown that he suggests claiming for a new public plaza. Publicola shares dire predictions from the chief of Seattle’s Metro transit about anticipated service reductions. And The Political Environment reports that while Wisconsin’s local roads grow increasingly potholed, the state is transferring money for repairs to big new construction projects. Do Seniors Want the Livability Improvements AARP Wants For Them?